I hadn’t actually made this pattern up in fabric, since I wasn’t getting paid for the design. I like the pattern enough to rework it, so this is my first report on the re working. I am labeling this post part 1 because I am not totally happy with the quilt yet, so I expect to change it a little. 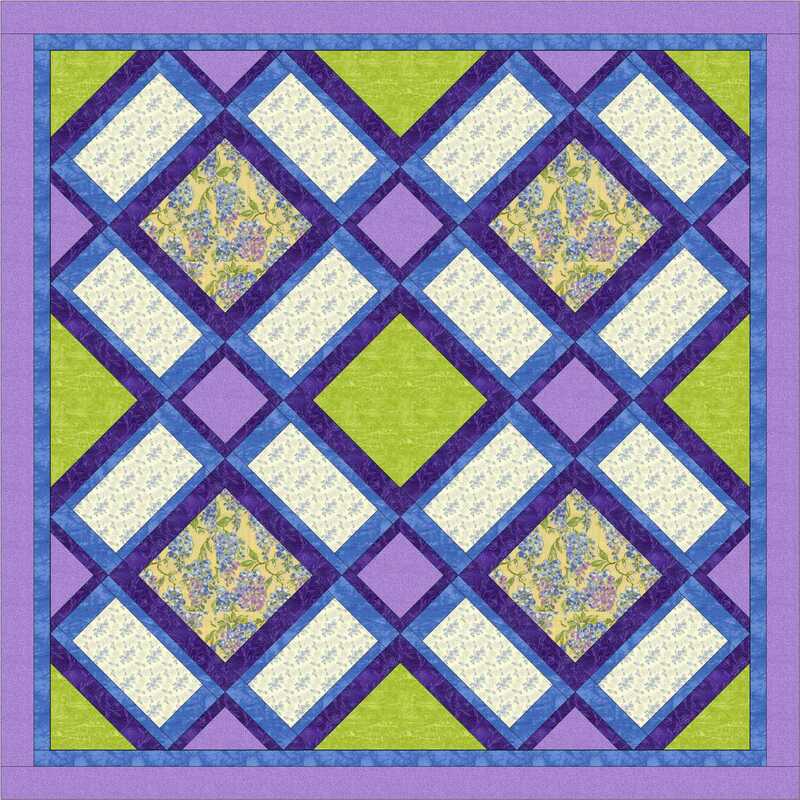 I found another fabric with a large design at my local quilt shop, and selected several fabrics to accompany it. 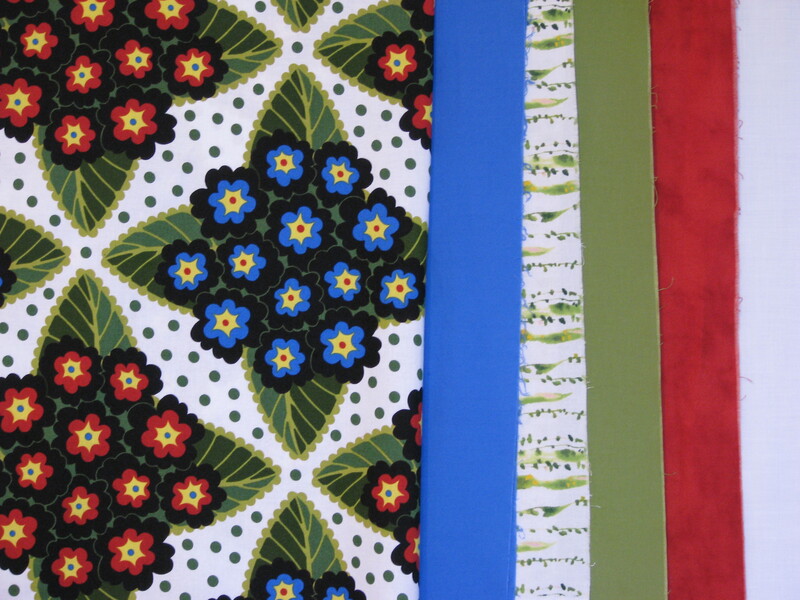 The fabrics are shown here. The red and blue solids bring out the flower colors in the focal print. I hadn’t decided on the fabric for the borders and setting triangles at this point, but thought I would try to find a blue and black print. I couldn’t find one that worked, so I had to go another direction. I went back to the shop and bought a coordinating leaf print in the same line as the focal print. 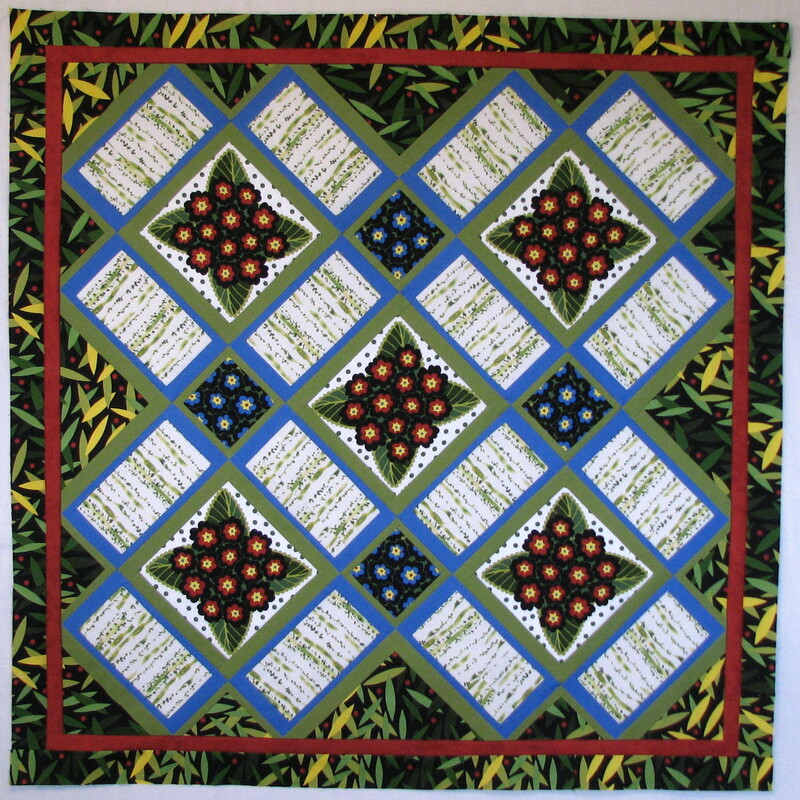 The completed quilt top is shown below. 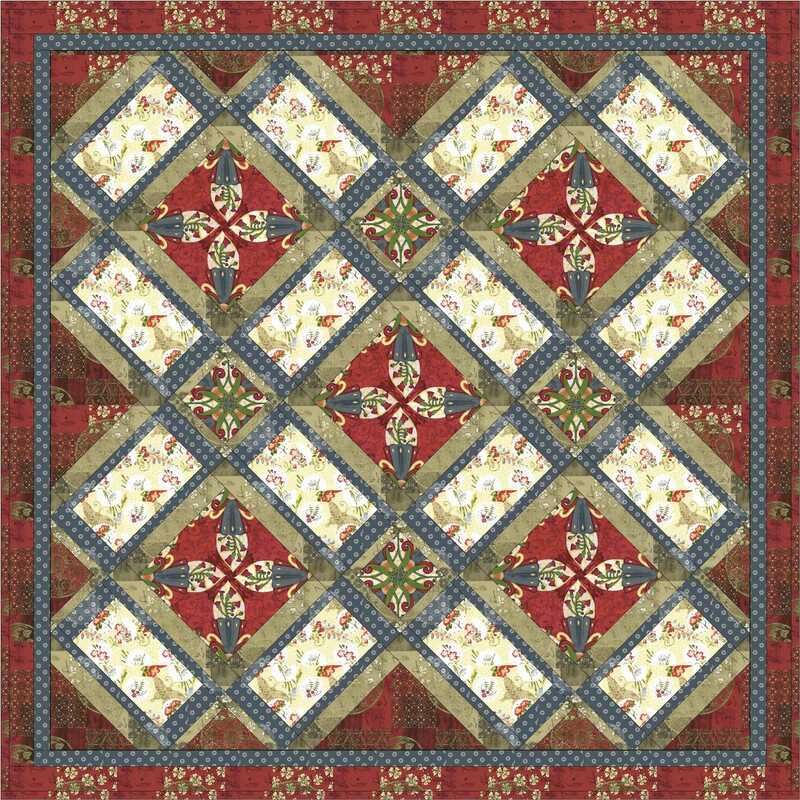 This entry was posted in Contemporary Quilts, Quilt Designer, Quilt Patterns, Quilting and tagged fussy cut quilting, garden window quilt, quilt patterns, quilting on April 25, 2013 by Shirley at Mystery Bay Quilt Design.